Clients often ask us whether it is better to reclad the whole house or just to fix an isolated problem. A full reclad is the best approach for complete weather tightness as it exposes all issues and allows us to completely resolve any moisture issues. This restores market confidence in the building’s ability to perform to the building code requirements. A full recladding also offers you the opportunity to upgrade the exterior to current trends and complete any additions or changes that you need. Clients often go for a total facelift to modernise their Auckland home and to restore confidence in it once more. This is often the perfect opportunity to do those little things you have always wanted to do, while you have a team of builders on site. How much does recladding cost? There are a few things we need to establish when trying to determine the correct price for your project. One of our recladding specialists will visit you at your home to discuss your property in detail and provide an estimate for the project. You can find rough price estimates for recladding costs in our FAQs page. To find out a more detailed quote for your Auckland home, contact us directly on 0800 777 977. 1. PROTECT YOUR HOME: We ensure your home is protected from the elements by wrapping it to keep the interior dry. 2. REMOVE EXISTING CLADDING: We remove the old cladding and dispose of it off-site. 3. INSPECT TIMBER FRAMING: Independent building consultants inspect for any damage/rot that has occurred to your structure. 4. REPAIR & RECLADDING: Any rotten or damaged timber is removed and rebuilt. If there are any renovation or addition requests these will also be completed. Once the build is complete, our team will reclad the area. To find out more about our processes or how much your project will cost, contact us on 0800 777 977. Are you sick of the same tired old layout you’ve been living in for the last 10+ years? Want a fresh look but don’t want to have to go through the headache of searching for a brand new property? Well this is where our premium building renovations and innovative designs can add a completely rejuvenated look to your Auckland home, whether you’re on the North Shore or beyond. Our home renovation builders work closely with each and every one of our clients to offer a tailored end-to-end service that meets their specific requirements to the letter. We believe that it’s not just about re-cladding the exterior of your home, but a complete facelift. Our clients can choose from many different design options to modernise their home. 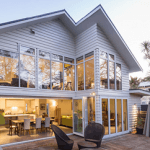 Options can include: Transforming a plaster home to be in keeping with a traditional weatherboard bungalow or villa which are often sought after in central Auckland. For a more contemporary avenue, our in-house architect can help you to choose the latest design elements and materials to make your home on trend. With an in-house team of home renovation builders and designers, we can completely customise your design to ensure a seamless alignment with your personal sense of style. If you’re still unsure as to the scope of our services, or you’re confused as to what design will suit your home best, allow our house renovation specialists to offer their knowledge and expertise. With many years assisting home owners in the design and renovation of their properties, we are in the best position to aid in the creative process. We can evaluate your home in person and, from there, make an informed suggestion as to the best course of action. The options are endless, so give us a call today and start making your dream a reality! You can reach us on 0800 777 977, where one of our friendly staff will happily answer any questions you might have. 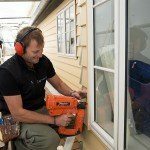 We can even offer a free quote on any of our quality building renovations and designs available in Auckland, the North Shore and the surrounds should you require. Plaster clad homes need very specific maintenance to avoid leaks and moisture issues as well as to keep them looking good. To help prevent water penetrating the surface, plaster cladding systems need quality paint systems and should be repainted every 7 to 10 years. As paint is one of the main waterproofing components on a plaster-clad home, it is very important to keep it in good condition with regular maintenance by a qualified tradesman. We are specialists in plaster homes. 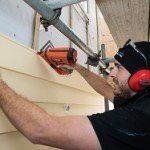 We are experts in plaster cladding maintenance and painting in Auckland, helping plaster home owners avoid future issues by maintaining claddings to a high standard. We use a proven method for crack repairs, re-sealing, corrective work and painting. Regular maintenance will extend the life of your paint and keep your plaster home looking great. We can also add you to our annual maintenance programme to help you protect your investment and keep your plaster home looking great!